Disney has just revealed the new teaser poster for the upcoming film, Captain America: The Winter Soldier. Winter Soldier marks the 3rd (if you count Agents of S.H.I.E.L.D.) project of Phase 2. 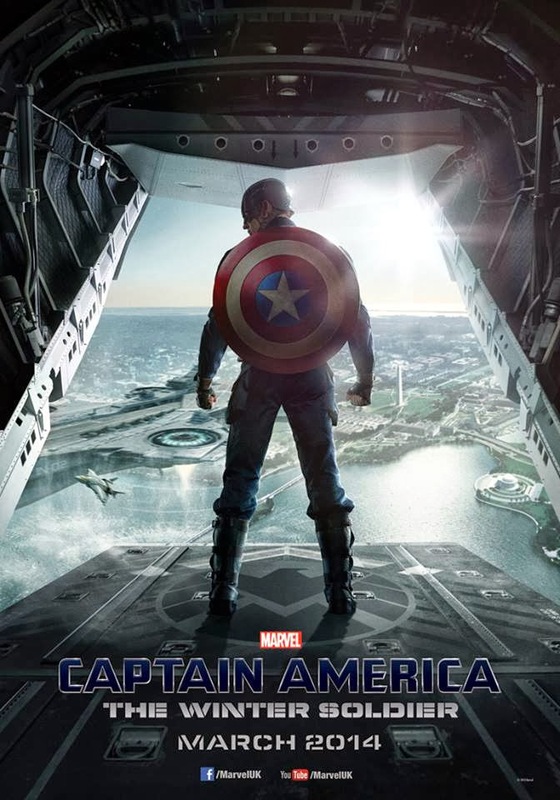 The film follows on from the events of Marvel’s Avengers Assemble and sees Cap and Black Widow join forces to stop a covert enemy hiding in D.C.
Chris Evans returns to don the red, white, and blue, and is joined by a cast that includes Scarlett Johansson, Cobie Smulders, Samuel L. Jackson, Anthony Mackie, and Robert Redford to name but a few. The film is directed by Happy Endings and Community (along with a few films that, um, didn’t do that well with the critiscs directors Anthony and Joe Russo are in charge for this outing. Captain America: The Winter Soldier is due for release on March 28 2014.